In June 2008, Randy Frazee became the senior minister of Oak Hills Churchin San Antonio the 52nd largest church in America, where he teaches and leads in partnership with pastor and author Max Lucado. Faced with the task of joining “America’s Pastor”, Frazee saw the challenge as an opportunity to take the congregation to another level. For his first sermon series at Oak Hills, Frazee introduced The Story Church-wide Experience, a 31-week journey through an abridged, chronological version of the Bible as presented in The Story (Zondervan, thestory.com). Frazee first preached the series at Willow Creek Community Church in 2008, which was enthusiastically received by the congregation, and had hopeful expectations for Oak Hills. The impact far exceeded Frazee’s expectations. As a result of The Story Church-wide Experience, Oak Hills Church experienced 23 percent congregational growth, increased spiritual depth and a buzz of excitement in the congregation and community. 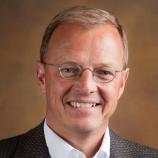 Prior to Willow Creek, Randy served as senior pastor at Pantego Bible Church in Fort Worth, Texas, for 15 years. He is the author of THE CONNECTING CHURCH, MAKING ROOM FOR LIFE, THE CHRISTIAN LIFE PROFILE ASSESSMENT and RENOVATION OF THE HEART STUDENT EDITION. A graduate of Dallas Theological Seminary, Frazee lives in the San Antonio area with his wife, Rozanne, their four children and granddaughter. Celebrate Easter with this inexpensive booklet designed to focus on the hope of eternity. With three chapters from BELIEVE --- a topical experience using the NIV Bible that unlocks the 10 key beliefs, 10 key practices and 10 key virtues based in scripture --- this evangelistic booklet explores the subjects of hope, eternity and sharing your faith. Celebrate Christmas with this inexpensive booklet designed to focus on the joy we find at Christmastime as we celebrate the birth of our Savior. With three chapters from BELIEVE --- a topical experience using the NIV Bible that unlocks the 10 key beliefs, 10 key practices and 10 key virtues based in scripture --- this Christmastime booklet explores the subjects of joy, the goodness of God and worship.